Established for over 30 years our experienced electrical contractors can provide professional and reliable solutions for all domestic and commercial electrical services. We offer a wide range of electrical services from installations to electrical repairs, click the link below to find out more about our company and the services we offer. 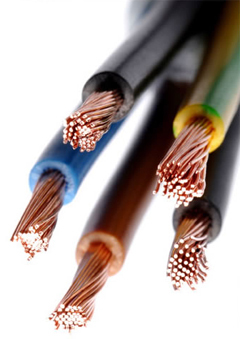 Our domestic services range from new electrical units to complete household rewires and emergency callouts. We also have expertise in garden and emergency lighting. We can also provide electrical inspections and appliance testing (PAT) for landlords or domestic households. 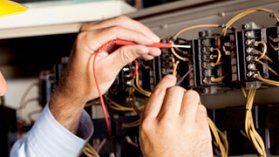 We offer a wide range of commercial electrical services from electrical installations to testing and repairs. Our extensive list of clients includes schools, shops, offices, factories and warehouses. If you’re looking for an experienced electrical contractor then contact us today or visit our testimonial page and see what our clients say about our service. We are your premier electrical contractors based in Failsworth, covering Greater Manchester and surrounding areas. 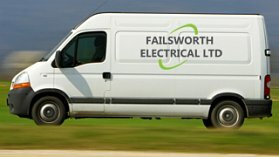 At Failsworth Electrical, we pride ourselves on providing complete customer satisfaction and security which is assured by our experience of over 30 years in the Electrical Contracting Industry. We serve most of Greater Manchester’s electrical installation needs and our customers include homeowners, architects, designers, offices, shops and factories. Anyone requiring quality electrical work can call our expert electrical contractors in Manchester for help. We can work with you in building efficient facilities for home, work, education, and other purposes. All our electricians are directly employed by us. 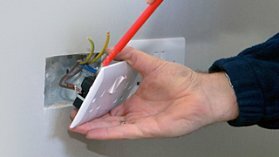 For added confidence, each member of our staff is CRB checked so you know you can trust us with your electrical installation. We have such a broad range of electrical services that they have been separated into different sections, so please click on the area that interests you. Failsworth Electrical is professional, reliable and competitive and we make it our business to keep up to date with the latest technology and design innovations. In particular, we are experts in lighting design. It is our goal to continue improving our services and expand our expertise when it comes to electrical work. Browse through our website to learn more about our range of electrical services. For a quotation or free advice on any electrical matters please give our friendly electrical contractors a call on 0161 682 7680.